In today’s world it’s the norm to stay chained to your desk for the majority of the day. Unfortunately although you’re working hard, more desk time and increasingly sedentary lifestyles are causing an increase in major health issues. In fact, according to research published in the Journal of Epidemiology and Community Health, around a third of British adults spend more than six hours sitting down each day! Never fear – experts are on hand to offer their tips for healthy habits you can adopt for those long days at work. Most of us opt for a meal deal at some point during the week, they’re quick, easy and cost effective- so why wouldn’t you! However, not all meal deals are created equal and making healthier swaps is a simple way to implement a healthier lunch habit at work. London’s leading nutritionist, Lily Soutter, shares what she would choose from the (iconic) Boots meal deal. “For the main I would go for the Deli Egg & Avocado, this is a good source of vegetarian protein (22g) and even fibre (8g). It can be hard to find grab and go sandwiches which contain adequate amounts of these two macronutrients. 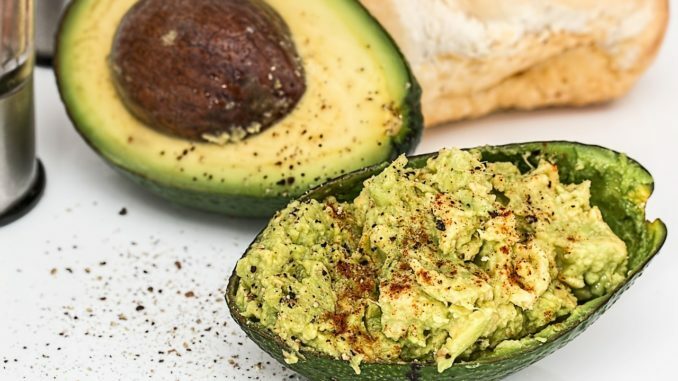 This sandwich is also low in saturated fat, yet the avocado provides a good dose of heart healthy monounsaturated fats. As we now know, sitting for long periods of time can have a detrimental effect on your health and wellbeing. Dr Sarah Brewer offers her advice to minimise your risk of obtaining the ‘lifestyle disease’. “If you work in an office, there’s a good chance you spend a large part of your day seated at a desk. Sitting for long periods of time during the day is linked with an increased risk of developing type 2 diabetes, heart disease, cancer, obesity, and premature death. Stand and walk around at least every 20 to 30 minutes. Build regular exercise into every day – for example, walking to and from work, or at least part of the way. Sometimes the thought of spending your precious lunch break at the gym is enough to put you off for life. Sadly, with office culture being so immobile, squeezing in a lunchtime workout can really boost your health. “Grab your colleague and go to a fitness class on your lunch break- having a work out buddy or a fitness class that you love, so that exercising isn’t thought of as a chore. Exercising on your own, whether it’s working out in the gym or going for a run, can be a joyless experience – but exercising with others in a class can be motivating and much more fun, especially if there’s great music too,” recommends nutritionist and fitness instructor, Cassandra Barns. Taking care of your mental health at work is also is crucial for your health and wellbeing. It might sound obvious to make lists, but your mind can be going at a million miles an hour whilst you’re at work with so many things to do and writing things down can really help. Marilyn Glenville, author of Natural Alternatives to Dieting explains: “Remember that your health is the most important thing in your life.